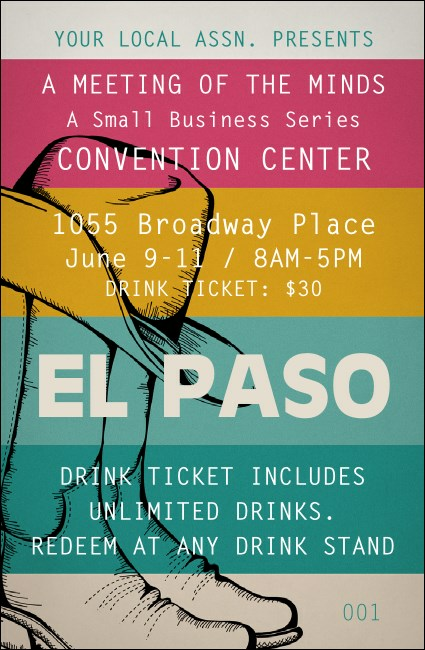 Encourage your guests to drink to their health in the City with a Legend when you give them El Paso Drink Tickets at your next event in El Chuco. Keep everyone cool in that West Texas heat with tickets that feature a colorful background design as well as the outline of a pair of cowboy boots and a ten-gallon hat. Find the right ticket for your Southwestern event at TicketPrinting.com.